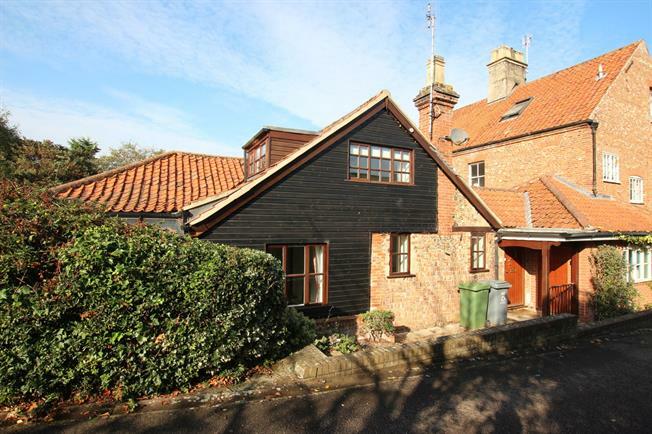 2 Bedroom Semi Detached Cottage For Sale in Norwich for Offers in excess of £175,000. Believed to date from the early 1800s, this period house has been sub divided to create 4 individual character retirement homes for the over 55s, but equally suitable as a second home. The character accommodation comprises; hall, kitchen/breakfast, lounge with exposed ship timbers, recently added conservatory (still under guarantee) study/ bedroom 2, shower room, landing and bedroom 1 with an en-suite shower. There are private gardens with parking and shed.